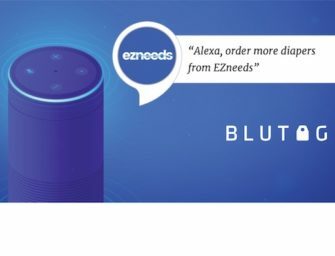 The Oakland, Calif.-based company is launching targeting that allows brands to zero in on audio ads served within the Pandora connected-home app, which is built into more than 2,000 devices such as Echo Sonos’ smart speakers and LG devices…Advertisers can overlay Pandora’s 2,000 audience segments on audio ads that run specifically on a voice-enabled devices. This audience includes 10 million users which is up 40% over last year. Pandora previously reported that over the past year monthly active users on “voice-activated devices” has grown 282%. Business Insider estimated earlier this year that Pandora had 1.6 million smart speaker users. It appears the number may be considerably higher. More important, Pandora reports that the average person “listens to 65% more music after purchasing a device.” That’s and extraordinary figure in terms of increased usage. The figure aligns well with some other data captured by Edison Research earlier this year. That study found 70% of smart speaker owners increased audio consumption after they purchased a smart speaker. However, the research didn’t attempt to quantify the amount of additional listening. This is an important factor for Pandora in terms of available ad slots. More time listening means more ad slots. It is also a wake-up call for all audio content producers about the impact smart speakers can have on their total listening time. Pandora may have the largest smart speaker audience segments, but it is not the first to offer this service. Earlier this year Cuebiq announced that it could deliver ads to owners of IoT connected devices, including smart speakers. These ads aren’t delivered through smart speakers but rather identify device owners and deliver ads to them on other devices such as smartphones and in desktop browsers. Pandora is among a small class of media companies that are permitted to serve ads through Amazon Alexa and Google Assistant. As smart speakers surpass 20 million homes in the U.S. this year, advertisers are going to discover a new way to reach entire households other than television.